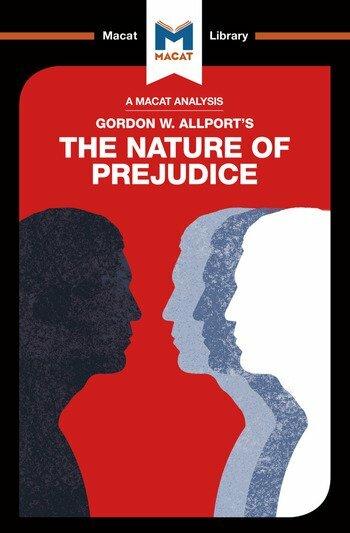 With his 1954 book The Nature of Prejudice, American psychologist Gordon Allport displays the crucial skill of reasoning, producing and organizing an argument that was persuasive enough to have a major impact not only in universities, but also on government policy. The question that Allport tackled was an old one: why are people so disposed to prejudice against those from other groups? Earlier psychologists had suggested a number of reasons, especially in the case of racial prejudice. Some had suggested that racism was a learned behaviour, conditioned by negative experiences of other races; others that there was an objective rationale to negative racial stereotypes. Allport, however, reasoned that prejudice is essentially a by-product of the necessary mental shortcuts the human brain uses to process the vast amount of information it takes in. Because our brains want to use as little effort as possible, they regularly fall back on simple stereotypes – which easily generate prejudice. Gathering strong evidence for this hypothesis, he reasoned, clearly and persuasively, that our natural cognitive approach is the most significant factor in accounting for prejudice. Going further still, Allport also reasoned that, once this was better understood, social scientists would be able to influence policy-makers to curb discrimination by law.